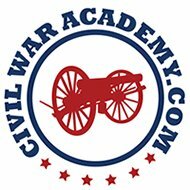 In my opinion this is the best website to find information on family that served not just in the Civil War but in any war in United States history. I have found a lot of information about my own relatives who fought in the Civil War. My mother’s family are from West Virginia, many of it’s citizens were Confederate sympathizers, including my great great grandfather and his three brothers who all joined the Confederate army. They were in the 25th Virginia Infantry Regiment which was part of the Army of Northern Virginia. They were later transferred into the 62nd Virginia Mounted Infantry Regiment. My great great grandfather and his brothers fought in most of the major battles of the Civil War. One of his brothers was wounded at the Battle of Gettysburg and another was captured there. All four of them were captured at one point or another during the war. My great great grandfather was captured by Union forces while stealing horses for the Confederate army. He spent the last few months of the war imprisoned at Point Lookout. One of his brothers was captured, swore allegiance to the United States and then joined the Union Army. If you are looking to find out more about your heritage a great option is the AncestryDNA: Genetic Testing – DNA Ancestry Test Kit and the 23andMe DNA Test – Health + Ancestry Personal Genetic Service – 75+ Online Reports – includes at-home saliva collection kit. However you choose to learn about your family history I do hope you find what you are looking for.